squire: With this chapter, we have now entered the realm of Gondor, although this is not immediately clear. Soon, of course, we find that Gondor still thinks of Ithilien as its own. The handiwork of Men of old could still be seen in its straight sure flight and level course: now and again it cut its way through hillside slopes, or leaped over a stream upon a wide shapely arch of enduring masonry; but at last all signs of stonework faded, save for a broken pillar here and there, peering out of bushes at the side, or old paving-stones still lurking amid weeds and moss. Heather and trees and bracken scrambled down and overhung the banks, or sprawled out over the surface. It dwindled at last to a country cart-road little used; but it did not wind: it held on its own sure course and guided them by the swiftest way. They had come to the end of a long cutting, deep, and sheer-sided in the middle, by which the road clove its way through a stony ridge. squire: A. “Country cart-road”? Who uses it now? PhantomS: *attempts to answer* Brave Rangers and equally brave Haradrim, I suppose. The Haradrim do send tributes to Sauron, so perhaps they'd use it from time to time. dernwyn: It would have been constructed 3000 years before the present: with no upkeep, there would hardly be a cart-road left. But if Sauron has been using it, then he would have seen to at least minimal maintenance. It is strange the he would not repair it more thoroughly for quicker movement of allies along its length. squire: B. Why build a road to the Morannon in the highlands of Ithilien, instead of along the flat river plain closer to Anduin? 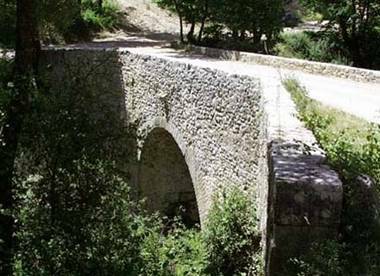 Why spend the incredible effort and cost, including cuts through bedrock, and stone bridges, to make it straight and level in such difficult country? PhantomS: If an army was coming from Mordor, it would take them a while to move and give the Gondorians more time to assemble where the cut road opens up. Also, the Gondorians loved to show off their awesome power-their City is carved through a mountain, one of their forts was also carved into a mountain. 'Easy' is not a Numenorean invention, I guess. dernwyn: Long and not-winding road I wonder if that road was built for defense purposes: as a means for quick travel of messengers, and ease of troop movement if necessary. A watch was kept on Mordor after the fall of Sauron, and a straight road along the base of the mountains would also be part of the security check. squire: C. How does this road compare to that other road of the Dunedain that we know so well, the Great Road from the Shire to Rivendell? How about the old Road from Gondor to Arnor that Boromir followed? 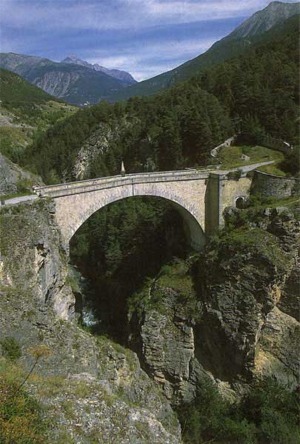 Are any other roads in Middle-earth engineered straight and level, with stone bridges at every river-crossing? PhantomS: They're both neglected, but since Gondor and Arnor were neighbours, I suppose the Royal Road would be kept better and far less fortified by nature or man. Also, I think it would be relatively safer, though Eriador is hardly safe by any standards for the average traveller. It did take Boromir a hard slog of over 100 days just to get to Rivendell, and perhaps only he could have done it in all of Gondor. The dusty, beaten paths of Ithillien are more suited to Rangers ala Faramir who know the territory and look prime places for bandit ambushes and scouting reports. As it was once a giant rock garden, it looks deceptively tranquil when in fact it houses anything from Rangers to Oliphaunts at any one time. If they were astonished at what they saw, their captors were even more astonished. Four tall Men stood there. … their eyes, … were very keen and bright. At once Frodo thought of Boromir, for these Men were like him in stature and bearing, and in their manner of speech. squire: D. How tall is tall, do you think? Would ‘tall’ be the first judgement a hobbit would make about a man? PhantomS: I guess he doesn't stoop, towers over men who do and probably is 6" and somewhat huge in build. A basketball player, then. Owlyross: Excellent post! The men of Numenór, having read Unfinished Tales, seem taller than 6' to me. More in the region of 6' 6" to 7' (you've put 6 inches in your post, ;oD ) from the description we're given there. These men, though lesser would still tower. Tolkien calls them tall men. Which I've taken to mean as tall for men, rather than tall for hobbits. "I guess he doesn't stoop, towers over men who do and probably is 6' and somewhat huge in build. A basketball player, then." 'Tall' also means powerfully tall- Gandalf is tall when he stands up in Bilbo's house and looks like a Norse God, but he isn't tall when sitting in his cart smoking away with Frodo. Saruman is hunched somewhat and always slinking, so he isn't 'tall'. The Men of Numenor stand up straight, wear tall helmets ,have powerful builds and stone faces like the statues they are represented by. The Elves are always tall, but Eol was 'stooped' by his study of Dwarven arts. So to a Hobbit a tall man would be one showing his height, like the clinging Southron (who was taller than his peers) or Faramir and Denethor, who look frighteningly like the statues next to them. Aragorn is tall and so is Eomer, as they bear themselves as big men no matter how they interact with other folk ( Strider = bigfoot , Eadig = Great Rider), as does Boromir. squire: E. How would you guess these men’s Boromir-like “stature and bearing” differs from, say, Aragorn’s – or Eomer’s – or Bard the Bowman’s? PhantomS: The mannerisms of each culture do protrude sometimes, like how Boromir and family constantly use 'Gondor' in their speech, even when it isn't the topic. 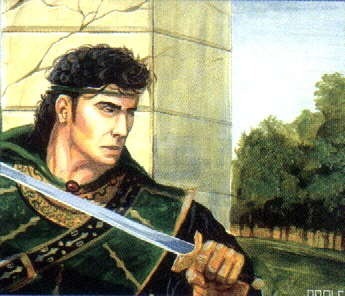 Speaking of the current and the old is a Gondorian style, speaking of the current and nothing else is Rohan's. Bard struck me more as an Ivanhoe type of guy- a greatness is within him and he reveals it when fate chooses him to restore his line. He's not carrying the weight of 4000 years of legacy like Aragorn is, but he is loved by his people and aims to keep that trust. Denethor and the Master are similar in some ways in that they are old men who like it the old way, though Denethor is actually taking care of his own people. The Lake-Men are relatives of the Eotheod and similarities should lie with the Rohirrim, in that they are a young race (compared to Numenor) who possess similar Edainic virtues. They took off their masks now and again to cool them, as the day-heat grew, and Frodo saw that they were goodly men, pale-skinned, dark of hair, with grey eyes and faces sad and proud. They spoke together in soft voices, at first using the Common Speech, but after the manner of older days, and then changing to another language of their own. To his amazement, as he listened Frodo became aware that it was the Elven-tongue that they spoke, or one but little different; and he looked at them with wonder, for he knew then that they must be Dúnedain of the South, men of the line of the Lords of Westernesse. squire: F. Why would the Common Speech in Gondor be of ‘older’ manner? PhantomS: Like Sindarin,it was taught properly in schools and academies, at least in Minas Tirith, according to the old rules set by the originators of Westron. Posh English, we might say. The Rohirrim are hardly vulgar and are in fact the more eloquent of the two, but Gondorians sound like a written book and the Rohirrim sound like an improvised song when they talk- both are nice to hear, but the book is far older. Gondor is also an insular kingdom-so there is little evidence of cross-breeding between its language and those of Middle Earth,despite the Northmen and others joining in the pot. squire: G. How aware have we been up til now of the link between the Dunedain and the Elves? PhantomS: So far it's been mentioned, hinted at, reminisced, recalled and seen through Aragorn's eyes. Now the Hobbits see the evidence for themselves-Men other than Aragorn who talk,walk and act like him as if the Elves never left. Pippin is rightly impressed by Faramir and Legolas is impressed by Imrahil; such men are nowhere to be found in their own parts of the world, at least not in the open. It's like Rivendell and Lothlorien- in the House, everything is remembered, in Lorien everything is experienced. squire: H. Does Tolkien have a “racial type” in mind for these Men of Gondor? Does it relate to his “Roman” or “Mediterranean” geography that we are encountering in this chapter? After a while he spoke to them; but they were slow and cautious in answering. They named themselves Mablung and Damrod, soldiers of Gondor, and they were Rangers of Ithilien; for they were descended from folk who lived in Ithilien at one time, before it was overrun. From such men the Lord Denethor chose his forayers, who crossed the Anduin secretly (how or where, they would not say) to harry the Orcs and other enemies that roamed between the Ephel Dúath and the River. squire: I. These men’s ‘folk’ used to live in Ithilien. When was it lost? They never lived there themselves: why does Denethor use only their folk? PhantomS: I guess the grunts back in Minas Tirith wouldn't know what to do without their armour and the cavalry of Dol Amroth might get lost in the trees. Also, Denethor is using partisan passion to keep the fight alive- someone from Anorien, for example might not like being so far away from 'home'. This is a classic tactic used to keep the propaganda and realpolitik going, which Denethor no doubt learned from a certain White Wizard. dernwyn: Where have all the Ithilienites gone? I would assume that the population was decimated during the Plague in the 1600's. After that, Mordor was "left unguarded", according to theTale of Years, and the land would fall into disrepair. The population that survived the Plague may have removed to a particular section near Minas Anor, and formed their own community, with Ithilien "heritage" of social importance. squire: J. Are Mablung and Damrod of ‘noble’ family? PhantomS: Knights, perhaps. The Royals died out, but Ithilien might have had a Prince before like Dol Amroth, and they might come from his house. squire: There were ‘dealings of old’ between Harad and Gondor, but it’s been ‘many lives of men’ since there has been any commerce. K. Is that likely between two neighboring regions connected by both sea and land? What kind of geopolitics is Tolkien constructing? PhantomS: India and Pakistan come to mind. They are culturally linked, have fought three wars and have had 'dealings without friendship' like the Gondorians and Haradrim. They didn't like each other, but would perhaps send a group of students in exchange programs, maybe a cricket team or a motorcycle rally. They even have a daily ritual everyday at 4pm at the border in Punjab province-the Rangers on both sides take their gate and slam it shut, then open it again; to show that while the border is open, not everything else is. squire: Damrod and Mablung seem rather arrogant, hateful, and prejudiced. L. Is there what Paul Kocher would call a ‘Haradrim point of view’ that we could understand? Is Sam, with his sympathy for the dead warrior, morally superior to these two men? PhantomS: Sam is not an enemy of the Haradrim;he will never see them again, in fact. Damrod and Mablung's land has been trodden on by the Haradrim and they feel likewise. Again, Denethor might be playing his partisan card again to get some fight into his men- like the Uncle Sam posters in WWI and 40s comic books that had Superman 'slapping Japs' and Batman unloading machine guns on Germans. The term 'Haradrim' is also general (Southerners)- there are several kingdoms within the Haradrim and they all look alike to the Gondorians. But if we look at Buddhist monks, we have to guess what order they are from-not everyone is a Shaolin kung fu warrior! So it's a combination of their ignorance, the long enmity between the two empires and Denethor plugging his side.